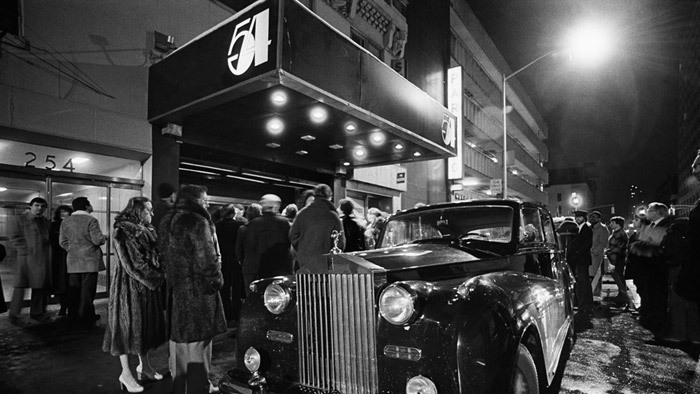 Summer 1980 New York, Studio 54. They are all there. 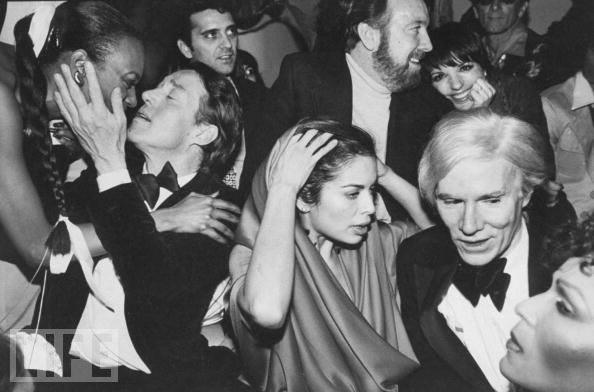 Bianca, Bowie, Liza, Liz, Halston and Warhol, in the mad coked up swirl of the beginning of the decade of decadence and greed. 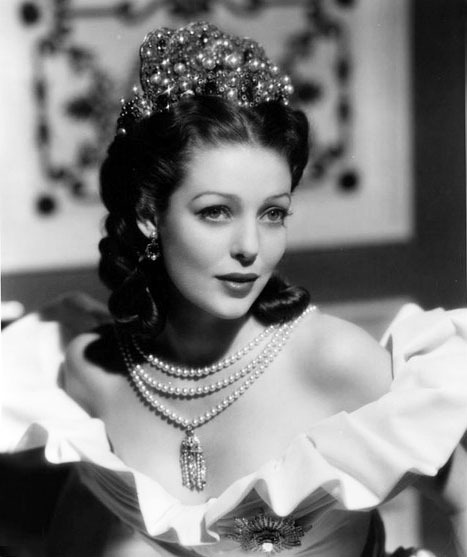 It was the age of heedless glamour, big shoulders and bigger hair. And in the center of it all was the Big Fragrance. There was none bigger perhaps than Pour Lui by Oscar De La Renta. Bold, emphatically rich and a little gaudy. I am happy to say it still holds on to the night like no other and dances till dawn in crystalline abandon. If you want to funk the night way like Sylvester, this is your fragrance. There are so many notes it is a wonder that it doesn’t explode under the pressure. Okay I am making a little fun of poor Pour Lui but how can you not enjoy and wink at something so audacious and fun as this fragrance. 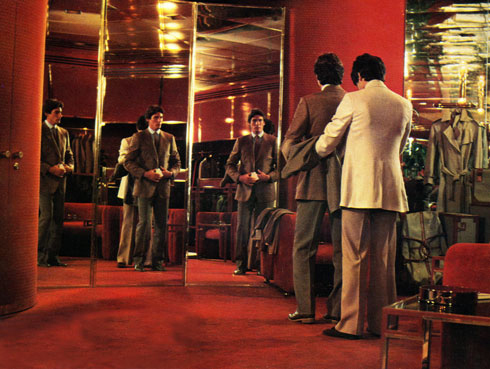 It is pure late night glamour with enough power to ignite a bonfire of the vanities. And like MisterCrazyLegs over at Fragantica says there is something of the vampire in this bottle. A few sprays of this love at first bite elixir and you are set for a fabulous night out at a retro disco with the creatures of the night. Bring your sunglasses, you will need them when the sun comes up and you are still rocking this magnificent classic. And here at this junction under a lilac tree you can smell the most incredible scents of the city. Heady mixtures of the river Seine, the enticing aromas wafting from the restaurant Les Degrés De Notre Dame, and the surrounding flowers and the trees assault the senses. IT is heaven on earth with a view of Notre Dame Cathedral at the end of the street glowing in the night just beyond trees across the river. Aura by Jaccamo Paris is much like this tiny part of paradise in the French capital. It is listed as a woody spicy but to me it is very gourmand. The opening notes of ginger, lemon and sage just burst forth in a splashy rush and for ten delirious minutes you are almost knocked off your feet. This almost put me off at first but what comes next is like a fabulous meal in a great undiscovered bistro. Nutmeg, Tonka bean, cinnamon the smell of fresh cut sweet tobacco leaves and tea hover at the heart of the fragrance. And they make a wondrous combination that both satisfy and strangely leave you hungry for more. It is almost too much to take in as it unfolds. But it is worth it. At the dry down you meet a classic combo of musk, sandalwood, cedar and patchouli, this desert is warm and comforting as a good cup of espresso after a long and enjoyable meal. All of this was a real surprise to me as I only paid including tax $14.95 for this fragrance on-line. I found the very sleek modern bottle design to be intriguing and thought well why not give it a go. How happy I am that I took the chance on this blind buy. It has a fairly good projection and last quite long on my skin. 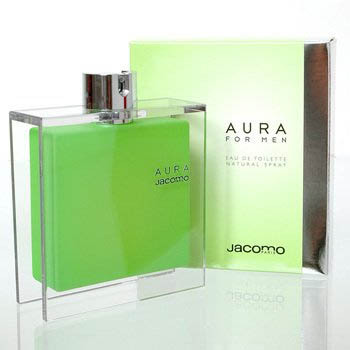 This fragrance that bowed in with the new millennium is a real find for those looking for a great modern fragrance that fits well with all ages and can be worn year round. Bravo to the nose of Henri Bergia for a great work in perfumery. The restaurant in the hotel Les Degrés De Notre Dame is wonderful. 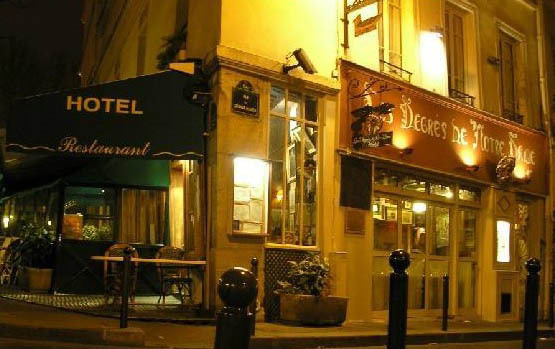 If you get to Paris be sure to drop in for a wonderful meal. The atmosphere is casual chic and the crème brûlée, c’est magnifique! I just want you to know that if all that was left of you was your smile and your little finger, you would still be more of a man than anyone I ever met. Well, that’s because you know what I can do with that little finger. With the celebrations in full swing for the 50th anniversary of the James Bond franchise it was inevitable that no stone would be left unturned. 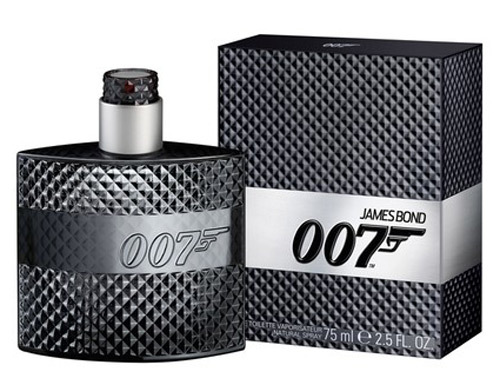 Eon Productions is about to enter the world of Fragrance with the release of “James Bond 007”. 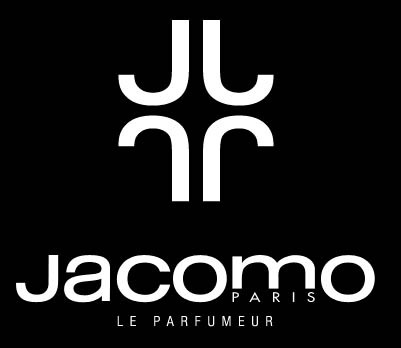 The fragrance will only be available starting in August of 2012 at Harrods of London. The notes are fresh apples, cardamom, sandalwood, vetiver, lavender, coumarin and moss. It is classified as an aromatic-fougere. International release is set for September in North America, Europe, the BRIC countries (Brazil, Russia, India and China) and the Far East. The fragrance will be carried in mid level department stores such as Sears and Kohls. You aren’t going to let me in there, are you? You’ve got your armor back on and that’s that. I have no armor left. You stripped it from me . What ever is left….whatever I am….I am yours. Just for fun all eight, yes eight men who have played James Bond. From left to right, Barry Nelson as Jimmy Bond on the 1954 CBS television show “Climax” production of “Casino Royale”. Sean Connery the first official Bond. David Niven in the 1968 spoof of “Casino Royale”. George Lazenby who only served Her Majesty’s secret service once. Roger Moore (no comment) . Timothy Dalton who gave Bond back his bite. Pierce Brosnan the Remington Steele Bond. Daniel Craig, who knows how to use his little finger to take Bond the closest to Ian Fleming’s original conception of James Bond. Below, my painting of Daniel Craig as James Bond. 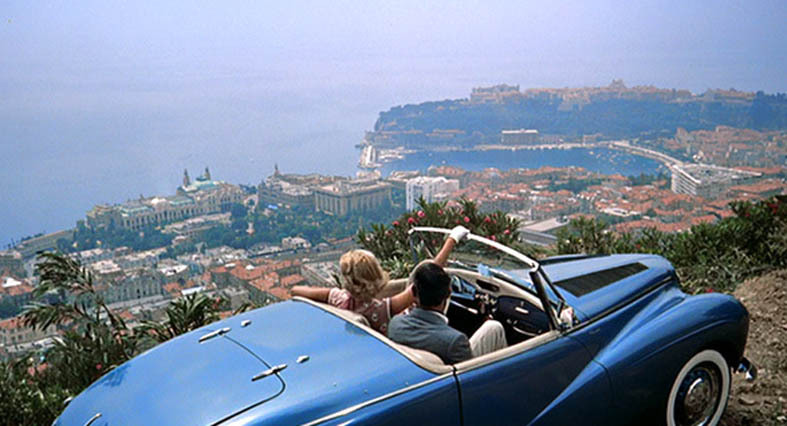 Grace Kelly and Cary Grant casually tearing along in a sporty convertible along the cliffs above Cannes in “To Catch A Thief”. 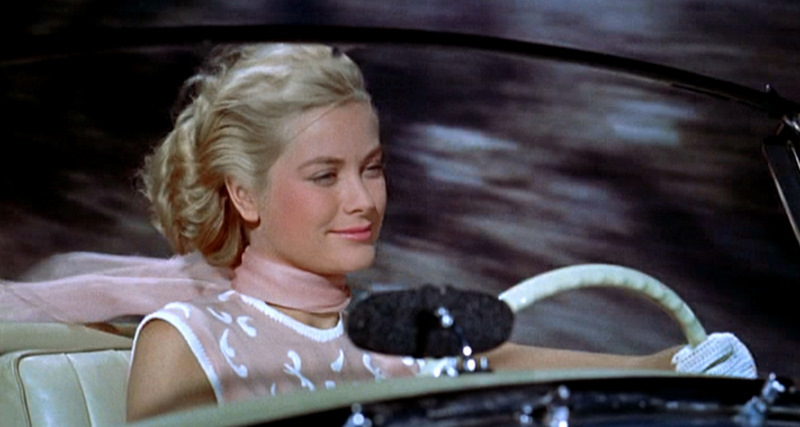 One lovely gloved hand of Miss Kelly lightly caressing the steering wheel at sixty miles an hour; is there anything more alluring or jam packed with high voltage glamour and seduction? This is the epitome of what we think of as classic French Rivera high octane sophisticated élan. 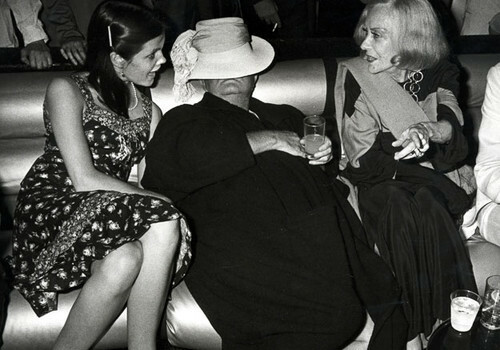 The lifestyle of the rich and famous before Robin Leach leached the soul out of it. 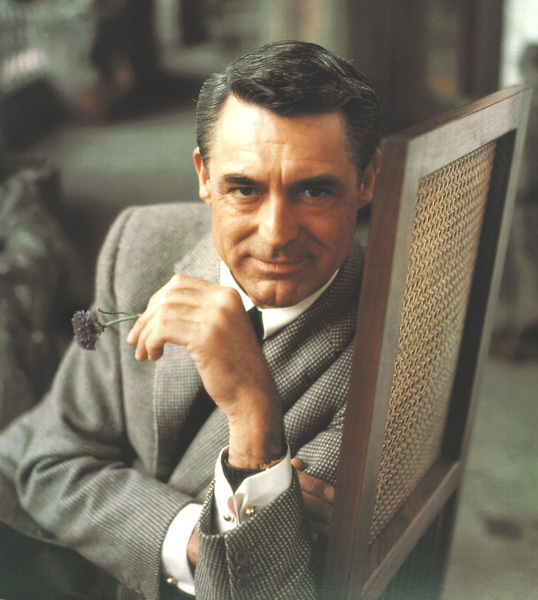 There still remains an inkling of this lost allure within the elegantly crafted bottle of Faconnable for Men. 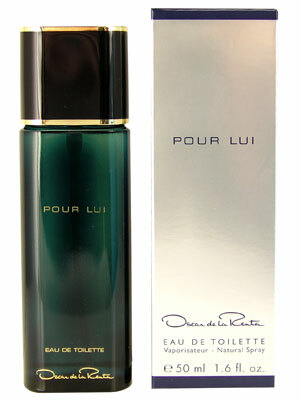 One spray of this elixir of masculine elegance and you are transported to the south of France. 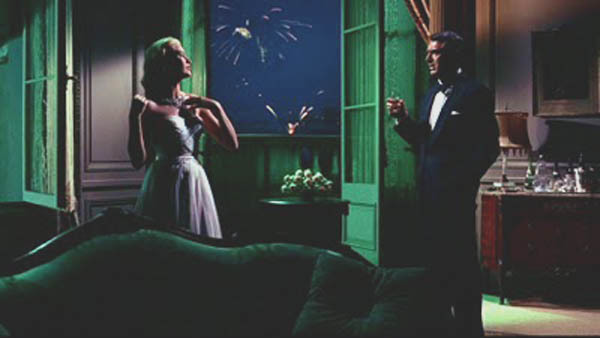 It is twilight cocktails on the terrace of the Casino at Monte Carlo in a white Tux, a swim out to the float of the beach of the Carleton Hotel. It is the grand staircase and red carpet of the Cannes Film Festival. It is serious as a high stakes game of Baccarat and as much fun as fireworks after midnight with a barefoot bejewled movie star at your side. It opens bright and arrestingly with its well chosen top notes of mint, orange blossom and mandarin orange that does give it a smell of a well made martini. That dissipates quickly into a lush intoxicating Mediterranean garden of jasmine geranium and rose. Toward the end of the middle Sandalwood announces the dry down followed shortly by rich amber and an ethereal musk that whirl seductively around the sandalwood in a smoky slinky dance. It lasted all night on my skin and I awoke The next morning with traces of the dry down still in evidence. Now listen boys, this one is for grown ups! 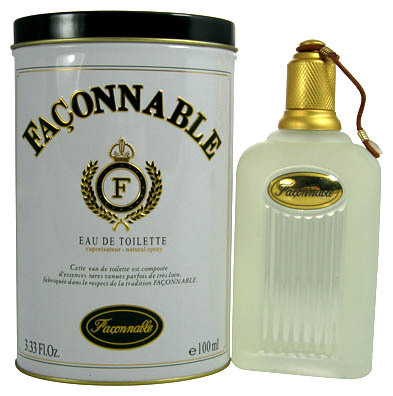 Faconnable for Men is too subtle and complex for simpler younger tastes unless you are a young man who really wants to stand apart as original, daring and smart. 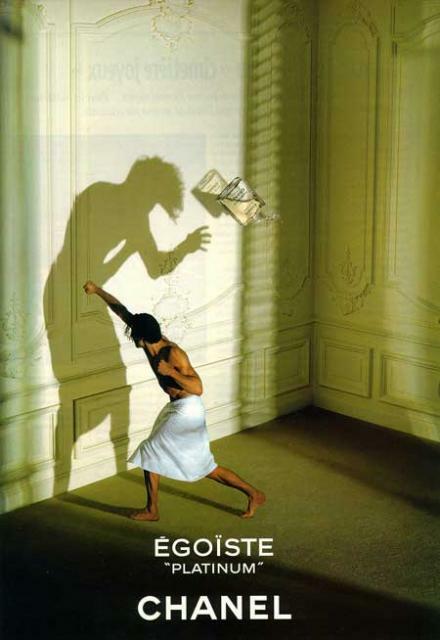 In that case welcome to the world of men of confidence, wit, grace and disarming charm. It all becomes Chandleresque. 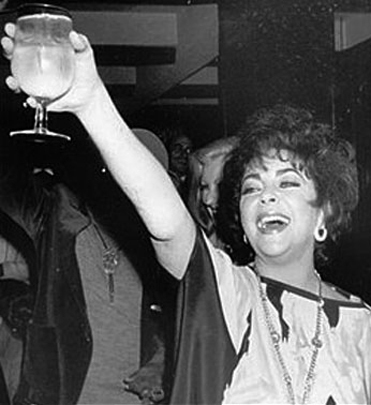 anything could happen and it usually does beginning with a dame. Curves ahead, dangerous when wet! 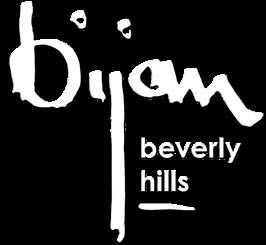 Bijan Black for Men is very much like this….a hot cinematically dramatic opening of orange blossoms, lavender and bergamot then its sun slides beneath the waves and you are left with a lazy blend of roses and pine and sweet vanilla. This lush complementary blending of notes I find quite satisfying. The only disappointment for me is how short lived this fragrance is on my skin. My chemistry seems to drink it up like the evaporating water from a concrete sidewalk on a hot day. For me the dry down just drops off into nothing. It says very close to the skin and is rather magnetic in its effect on others, so while it is working it is very nice. 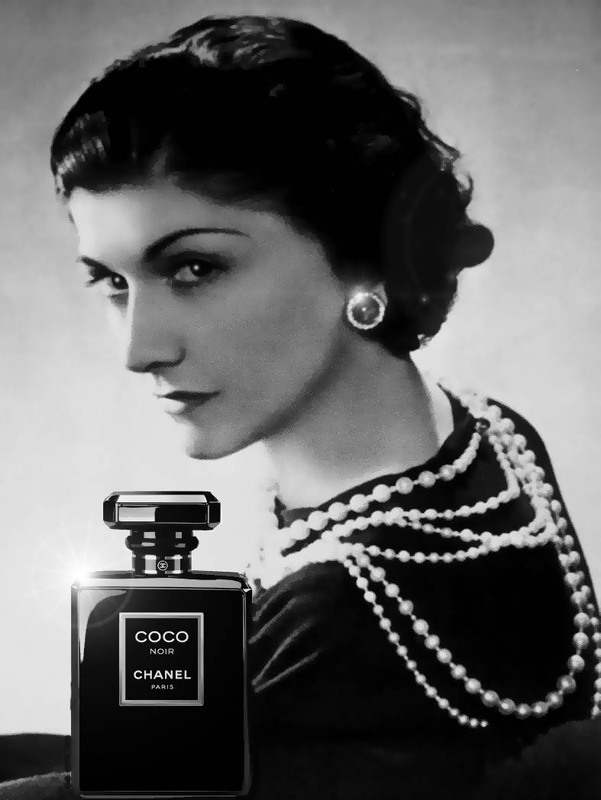 Debuting next month from the house of Chanel is their new fragrance, Coco Noir. Created by Chanel master perfumer Jacques Polge the new addition to the house of the locked C’s was inspired by Venice in the wee hours of the night, the mystery of travel, the past and the dark layered beauty of the baroque. The notes are, top notes: grapefruit, bergamot, orange. Middle notes: jasmine, rose, geranium, patchouli and bottom notes of tonka bean, white musk, incense, vanilla, sandalwood. It sounds like it is perfect for both sexes who are not afraid of something dark and laced with noir danger. How perfect it is, a little black bottle to go with the little black dress (or dress pants. Pure gas pump jockey, sweat stained wife beater and oil under the nails. If that is you then buddy you have hit pay dirt. This woody floral musk is for you. You know that pungent shooting right to the back of the eyeballs smell of gasoline? Well mix that with years old garage floor oil stains and an old leather jacket the dog sleeps on at the back of the garage and you have Fahrenheit by Dior…. Shut the garage Dior I am heading over to Chanel. Being enveloped in a seductive and sophisticated fragrance and carried by that scent to another time, to another place, is a voluptuous and powerful feeling. 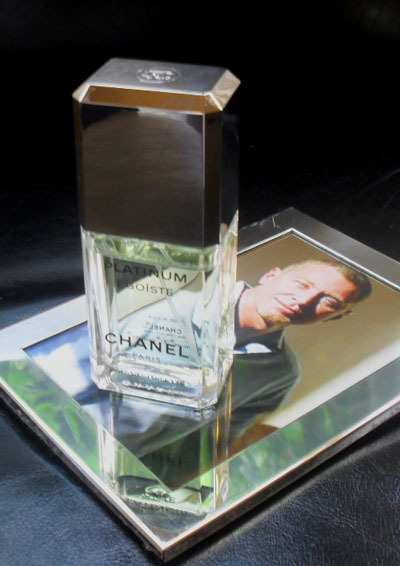 Being a fan of at first Chanel Pour Monsieur, today Pour Monsieur Concentree one would think that I would have all of the men’s perfumes from 31 Rue Cambon. As it was, often I thought I should, but alas I never ventured beyond Monsieur because what is in that bottle is just that wonderful. 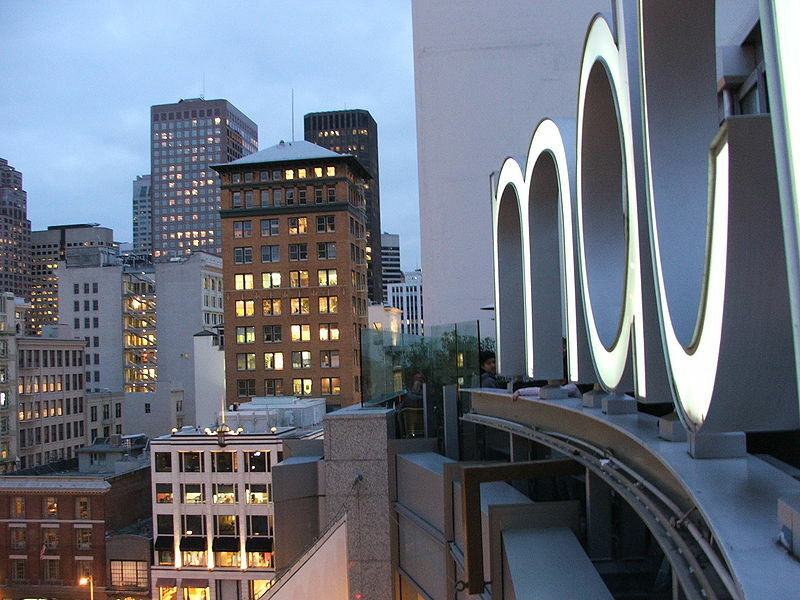 Last February on a sunny outing in San Francisco I ventured Macy’s Men’s Store just off of Union Square and sniffed about the glittering counters. Nothing seemed to catch my nose or eye. Just as I was about to leave a little bottle of Platinum Egoïste winked at me. “Try Me monsieur, you have always wanted to.” It seemed to say. I thought, “Well why not.” It is Chanel after all….why put it off any longer? I bought it without even testing it. Oh I have tested it over the years of course but on paper…. Well, it was always on paper, and it was nice enough. 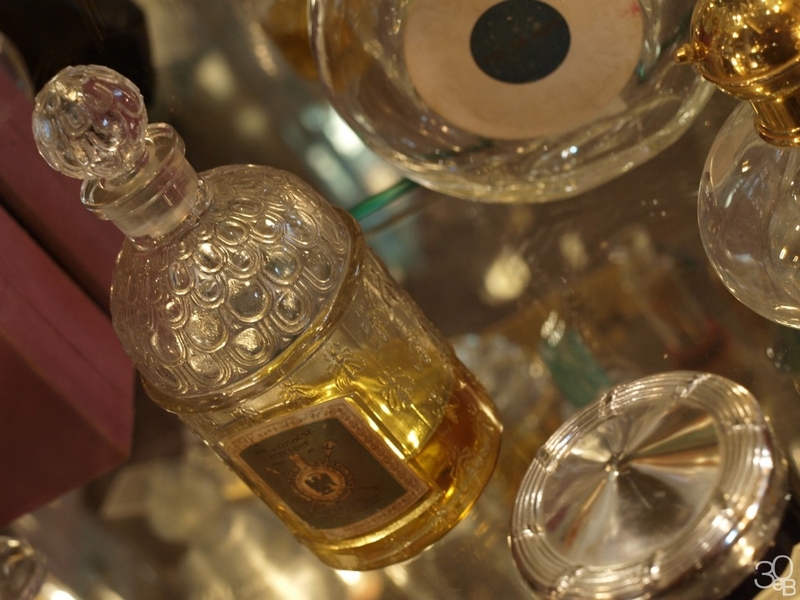 At home when it hit my skin I was enveloped in a seductive and sophisticated fragrance, which carried me to another time and another magical place. PARIS! It all flashed the entire city, jump cut and glittering before my eyes. I was stunned by the beauty and revelation I found in this fragrance. I will leave it to the others to talk of notes and dry downs and whatnot. Listing what causes this magic is just too mundaneI. I find it always to be a pure rush of wonderment. 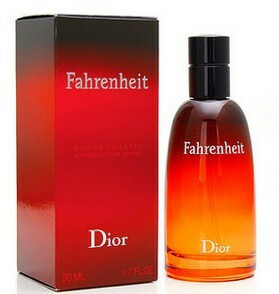 For me it is pure sensation and sensuality in this little bottle. Lighter than Pour Monsieur Concentree yet not lacking in a full ripe tone that speaks so eloquently of what Chanel stands for, elegance, style and wit. 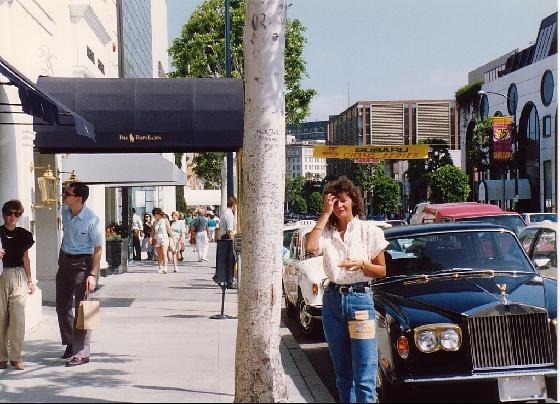 Slumming in Beverly Hills…… That is what we used to call it in my 1984 when I would take a friends from San Francisco down to see my old stomping grounds in and around Los Angeles. When I came of age in Southern California I knew just how lucky I was to be born there, right smack in the center of the universe. 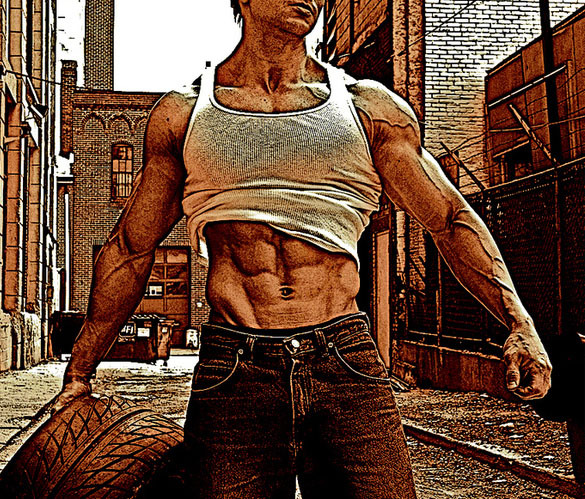 It had the four Ms, Music, Movies, Mountains, and Men at the beach that all looked like Jack LaLanne but only better. So going back I loved to show of the hidden treasures of Los Angeles to my friends from up North. 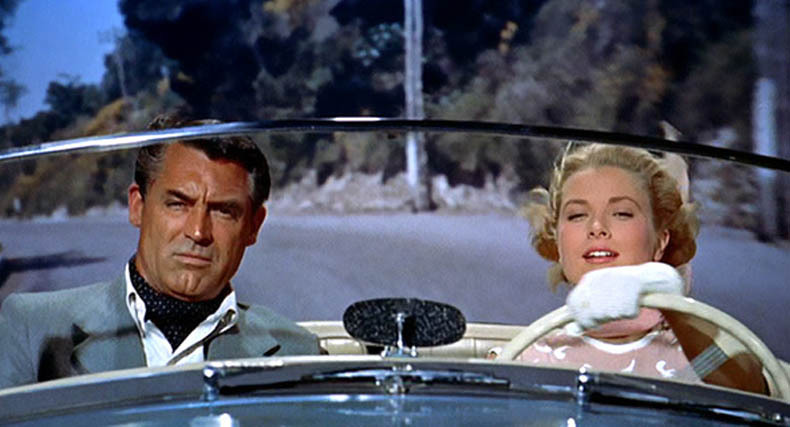 One of the stops was my special tour of Beverly Hills. Back in side Giorgio they had shelves heaped with Giorgio perfume in yellow boxes that looked like the awnings on the outside of the boutique. Other shelves groaned under the weight of Giorgio for Men. Oh and they sold clothes too. They served cappuccinos from behind a white bar and everyone in the store milled around drinking coffee just window shopping and hobknobing. Or so it seemed. You never saw anyone fash cash. When I came across Red for Men by Giorgio of Beverly Hills the other day I thought the bottle was beautiful but oh lord. Who would be caught dead wearing something so campy and probably overtly and down right tacky today? Back in the 80’s sure! Big shoulders, Bigger Hair and BIG SMELLS!! But then I began to read what other reviewers were saying. I narrowed my eyes to slits of doubt and read on. Then I checked out how much a blind buy would put me back. Next to nothing as it turned out. Oh well what the hell it might be fun. Red is a really wonderful surprise. Not loud, not pushy, not stinky. But rather a really lovely leather class fragrance that arrested my senses and delighted me and all who came close enough to get a whiff! It wasn’t “Dynasty”, or “Hotel” or “Knott’s Landing” in a bottle. It was rather elegant and refined. It opens with artemisia, basil, bergamot and caraway that some how convey the smell of redwood bark in a wet temperate Northern California rainforest. 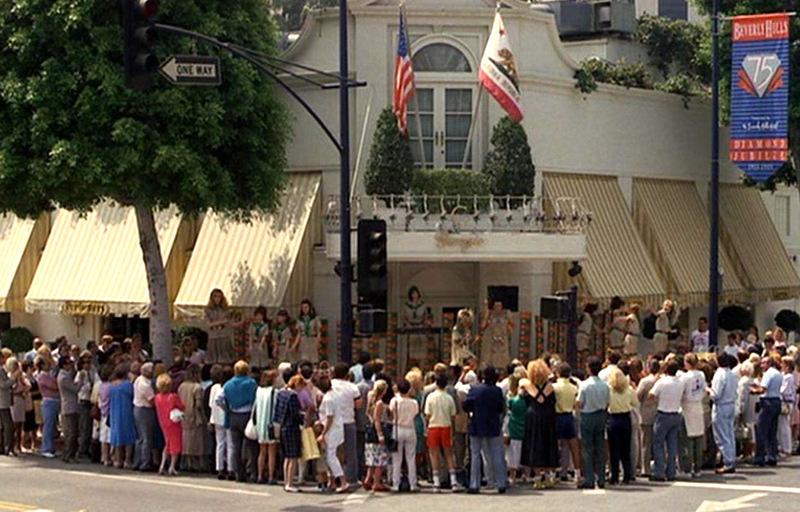 It is so far away from Beverly Hills that you might as well be on another planet. The heart of the fragrance is carnation, jasmine, geranium, juniper berries, rose and thyme and this combination is soft and embracing but is soon met with the rising notes of the dry down. A smooth polished leather like polo boots warming in the sun at the old Will Rogers polo fields where Sunset Drive meets the sea. The cedar, patchouli Oakmoss and Amber warm the leather even further an mix in the feeling of late afternoon in the wooded hills around the old polo grounds. That wonderful smell you get on hot afternoons in southern California when the heat carries the smell of the semi-tropical plants what grow there. It wears so well and projects just right. The silage is noticeable and garners some comments, always on the positive side. 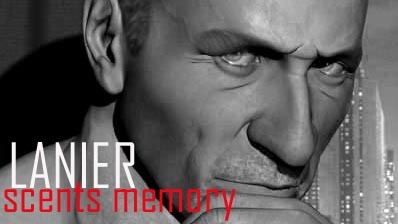 So I leaned a lesion from my trip to Giorgio. Even when you go slumming in Beverly Hills don’t be a snob, take a chance once in a while and try something you never dreamed you would like. You might find that Beverly Hills in a certain light looks a little like Paris!